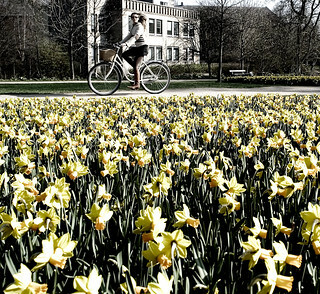 Not since the 90’s, have the Danes cycled as much as they did in 2014. But a new long-term national cycling fund is needed if this development is to continue. The national cycling fund which the Danish Cyclists’ Federation got approved after intense lobbying now reveals its effects. Numbers from The Danish Road Directorate show that cycling has increased in Denmark four years in a row, peaking in 2014. Not only the Minister of Transport is positive. In relation to the coming election, the Danish Cyclists’ Federation has asked the candidates about their opinion on the current level of investments in cycling of around €30 M euro a year. The answer from a solid 48 % is that the government should increase investments in cycling while 45 % thinks that the current level of investments should continue. Only 4 % is for a reduction or complete removal of investments in cycling. ”It is of course wonderful that the politicians show support, but we need action. Support from the state is completely crucial for cycling in Denmark. The municipalities cannot do the job alone, and especially in the periphery municipalities we see a need for help, so that cycling does not increase a disparity in health. We will most certainly hold the coming government responsible for their promises of long-term investments in cycling,” says Klaus Bondam.